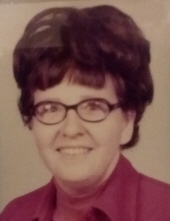 FRAVEL, Mary Beth - Age 72, of Clio formerly of Fenton, died October 25, 2018. Graveside services will be held 2PM Sunday, October 28, at St. John the Evangelist Catholic Cemetery, N. Adelaide St., Fenton. Fr. Robert Copeland officiating. Arrangements by Sharp Funeral Homes, Fenton Chapel, 1000 Silver Lake Road, Fenton. Memorial contributions may be made to St. John the Evangelist Catholic Church, Fenton. Mary Beth was born April 14, 1946 in Norwood, OH the daughter of James Lester and Marcella Catherine (Robin) Fravel. She was a long time member of St. John the Evangelist Catholic Church. Mary Beth is survived by her brother, Michael (Linda) Fravel. She was preceded in death by her parents. Online tributes may be shared at www.sharpfuneralhomes.com. To send flowers or a remembrance gift to the family of Mary Beth Fravel, please visit our Tribute Store. "Email Address" would like to share the life celebration of Mary Beth Fravel. Click on the "link" to go to share a favorite memory or leave a condolence message for the family.